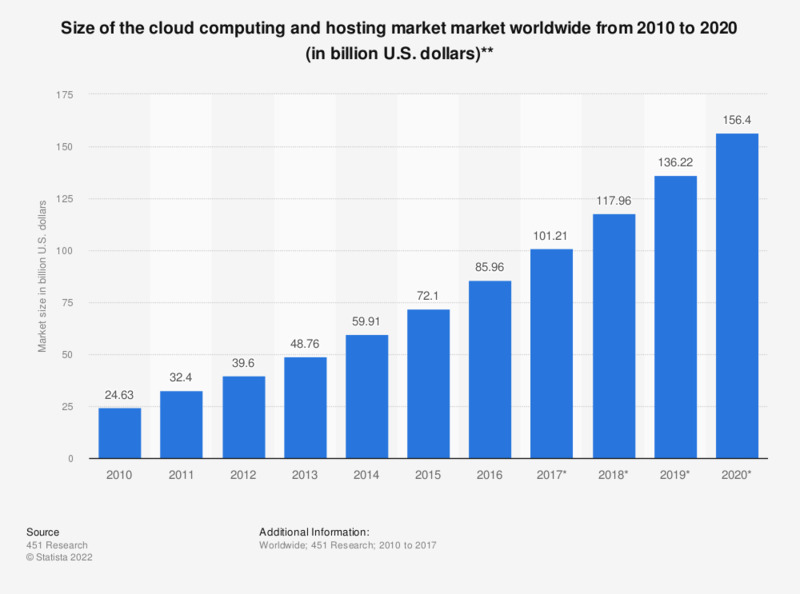 The statistic shows the size of the hosting and cloud computing market from 2010 to 2020. In 2018, the market for cloud computing and hosting services is predicted to be worth 118 billion U.S. dollars worldwide. ** For these figures, the source includes the following segments: dedicated osting, shared hosting, managed hosting, Infrastructure as a Service, Platform as a Service, and Infrastructure Software as a Service.